One graphic I post periodically that never fails to generate a great deal of interest among traders, strategists and other volatility aficionados is my normalized VIX futures term structure graph. From 2008 – 2013, the annual normalized term structure was notable in that almost every year was an outlier in one way or another. For instance, 2012 and 2013 were the two years with the steepest contango in history, while 2008, 2009 and 2011 represent three of the four years (2007 being the fourth) with the flattest term structure. And 2014? It could not have been more average. If one combines all the years from 2004 to 2014 and creates an “average year” (i.e., the wide gray line on the chart) then 2014 (double blue line) comes closest to that average. Note that the terms structure lines are dotted and somewhat wavy for 2004 – 2006, due to the fact that the CBOE did not implement a full complement of consecutive monthly futures until October 2006. As for 2015, which is not plotted on the graph above, so far it looks quite flat, almost like a cross between 2007 and 2009. It will be interesting to see if this pattern holds for the balance of the year. This is the seventh year in a row I have offered a retrospective look at the year in VIX and Volatility, which is my attempt to cram some of the highlights of the year in volatility onto one eye chart graphic with a (somewhat) manageable number of annotations. In aggregate, 2014 was a very quiet year for the VIX, with a mean close of just 14.19 for the year, which is the lowest the VIX has been since 2006 and third lowest since 1995. On the other hand, as I recently documented, VIX spikes were common last year, with 2014 registering the third highest number of 20% VIX spikes since the beginning of VIX data, in 1990. 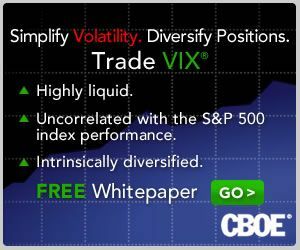 In short, the VIX was susceptible to large spikes, but these were typically followed by strong mean-reverting declines. For example, the peak VIX of 31.06 on October 15 was the highest VIX reading since 2011, yet just six weeks later the VIX was back in the 11s. When asked in October what they perceived as the biggest threat to stocks, respondents to the VIX and More fear poll pointed to the end of quantitative easing and the removal of the Fed safety net as their top concern, with Ebola narrowly edging out the much more nebulous “market technical factors” for the second slot. As best as I am able to determine, it was the panic associated with fears of an Ebola epidemic that took an already elevated VIX and pushed it up into the 30s. At various times during the year, Ukraine/Russia, crude oil, ISIS/ISIL, Israel/Gaza, the Fed and the European Central Bank all managed to increase anxiety and perceptions of risk among investors. Also, the narrow miss in the vote for Scottish independence created turmoil in the United Kingdom and across the euro zone, but managed to avoid morphing into another nationalist crisis. Early in the year, there was a currency crisis in emerging markets that was triggered by (unfounded, in retrospect) concerns about higher interest rates in the U.S. Throughout the year there were concerns about valuations and excesses momentum trading in the likes of biotechnology, social media, internet and solar stocks. To some extent, these concerns peaked in April (see The Correction as Seen in the ETP Landscape for additional details), only to return periodically throughout the balance of the year. Last year at this time, the prevailing worries were focused on whether or not Fed Chair Janet Yellen was leaning toward a more hawkish stance, the inevitable march to higher interest rates in the U.S., the weakening of emerging markets currencies and the potential fallout from the Fed’s tapering of bond purchases. In retrospect, investors were largely worrying about the wrong things. The first few weeks of 2015 have seen Greece, Saudi Arabia and Ukraine back in the spotlight, with the Swiss National Bank and European Central Bank dominating news on the central banking front. If the past is any guide, the big issue for 2015 has yet to rear its ugly head, whether it turns out to be a gray, charcoal or black swan. Since I launched VIX and More some eight plus years ago, I have devoted one post to highlighting the top 25 most-read posts of each year. I do this in part for archival purposes: to see what is important to readers and how their interest in various issues changes over time. I also hope that these aggregations of most-read posts will serve as relatively easily accessible repositories of high-quality material for the benefit of new readers and long-term readers alike. During 2014, the blog saw an extended hiatus for the first time in its history, largely due to events arising from the passing of my father. For this reason, I am limiting the number of top posts for the year to thirteen, largely because Song for My Father* ended the year in the #13 slot. Looking ahead, volatility is back and so am I. I miss writing and I miss the interaction with readers. In the coming year I will significantly ramp up my activity on the blog and also in the comments section. I will also continue to write a weekly newsletter specializing in volatility (which just so happens to have a 14-day free trial), pen periodic guest columns for Barron’s and perhaps contribute to some other publications as well. All this will be in addition to my primary role, which is that of an investment manager. In 2014, some of the top stories were Ebola, Ukraine vs. Russia, crude oil, ISIS/ISIL, the Fed and the European Central Bank. The posts below represent those that have been read by the highest number of unique readers during 2014. Farther down there are links to similar lists going back to 2008, along with several other “best of” type posts that I have flagged for archival purposes. With an increase in posting on the blog, I also foresee a substantial uptick in my activity on Twitter, where @VIXandMore gives me a platform to contribute more in terms of time-sensitive news, short-term insights and other related subjects.